Peter DelGreco, President & CEO of Maine & Company answers a few questions from Deb Neuman. In your role, as President of Maine & Company, you are very familiar with the state of Maine. What do you think is unique about the Bangor Region compared to other regions in the state? Maine is full of unique and wonderful regions and we see successful business throughout the entire state. The Bangor region boasts a couple of qualities that don’t exist anywhere else in Maine in one location. Maine has three recognized Metropolitan Statistical Areas (MSAs): Portland, Lewiston-Auburn, and Bangor. In order to be considered an MSA, a region needs to have a workforce of significant size. Bangor has that. In Orono, the University of Maine flagship campus attracts an additional 12,500 students to the population and contributes significantly to the region and state economy by way of its R&D efforts. The newly remodeled Bangor International Airport connects people to the rest of the country. Having the combination of a major university next to an easily accessible airport in an MSA creates an attractive and powerful region. What are you “hearing on the street” about the Bangor region? People are excited about Bangor. It has population density, an ability to move people throughout the state and country, and it has a growing energy that is attracting more and more people to the area. You can see and feel the energy when you walk downtown, when you go through the remodeled airport, or even walking through Wayfair’s new operation. There is energy in the area. 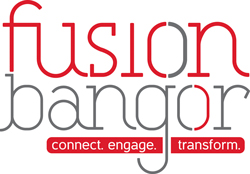 The young professional group in the region – Fusion Bangor – also grabs a lot of attention. People ask me about the dodgeball and kickball games all the time. The Fusion folks have played a key role in our efforts to attract new investment to the area. What is your response when asked by companies about why they should consider bringing or expanding their business to this region? We actually ask the question a little differently. We ask the company what they need in a region in order to establish a successful operation. Because of the Bangor region’s size and diverse economy, many companies can find what they need in the Bangor region. Whether it is traditional manufacturing, professional services, natural resource based operations, or information technology, there are examples of successful companies in the region. We show companies how they can replicate that success. Regions grow when business investment is strong. Companies like Wayfair, GE, Bangor Savings Bank, Cianbro, Cross Insurance, Hollywood Casino, and others have all made significant investment in the region over the years. This has led to additional growth and investment in the downtown locations throughout the region. Public private investments at places like the Cross Insurance Center, Bangor International Airport, Waterfront Concerts, and the University of Maine have helped stimulate growth and overall economic activity. When you see all of this activity, potential new companies to the area are impressed and want to learn more. Where are the greatest opportunities and challenges in the state and this region when it comes to future economic prosperity? From an opportunity perspective, we have found that people who have been to Maine frequently look for reasons to come back. Whether they were born here, went to college here, came here as a tourist, or traveled here for business, people are excited to come back. If they can somehow work their professional goals into the fabric of Maine, they will frequently jump at that opportunity. The more we can connect business leaders who have some experience with Maine with new professional opportunities, the more likely we are to see some additional business investment. Put more succinctly, the attributes that make people happy here personally can also be profitable for business. We have to keep telling that story. 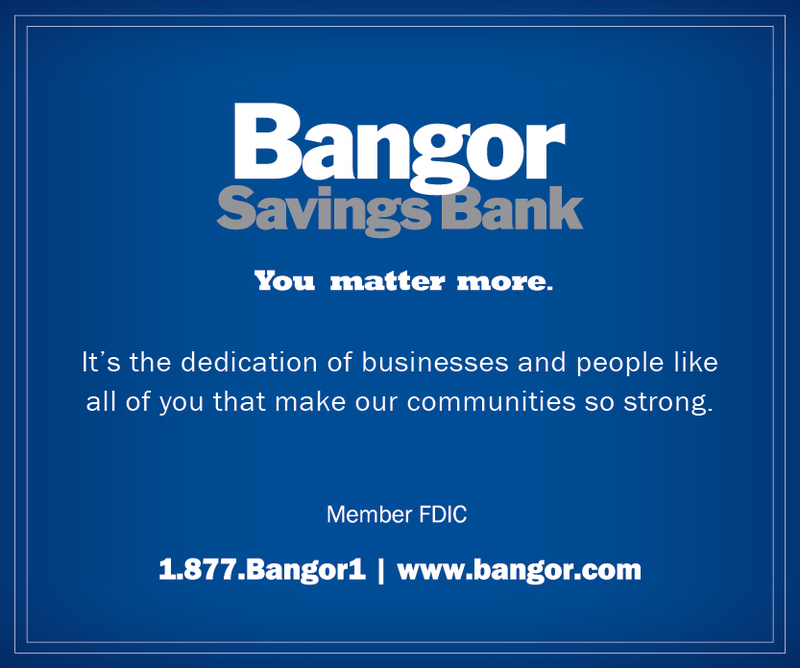 The Bangor region is fortunate because there are so many people that have experienced what the region has to offer. As for challenges, I think it is a fair criticism to say that government across the global, national, and local levels are struggling to meet the needs of its citizens. There is a lot of turmoil throughout the country and globe. Bad policies can stymie business growth. We need to make sure that elected leaders across all levels of government implement pro-growth policies that encourage businesses to invest. 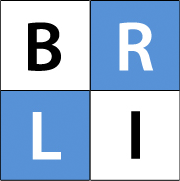 What are some of the “trends” you are seeing in economic and business development nationally and in Maine? Nationally, the trend is to include major incentives designed to stimulate. That is not a strategy that Maine chooses to follow. We have conservative programs that are responsible, trackable, and effective. However, other states will almost always offer larger incentive packages than Maine. Understanding that in reality, we have to create our own trends. People familiar with the area are more likely to invest in the region. Our ability to locate those decision makers and show them how they can be successful here has led to a number of new investments statewide and in the region. We frequently hear about workforce challenges in Maine. While we do have challenges, it is much more acute in other parts of the country. The more we continue to develop tools to attract new residents or enable companies to up-skill job applicants and incumbent workers, the more likely it is that our business community will thrive. The Opportunity Maine Tax Credit – essentially dramatically reducing student debt for certain graduates – has the potential to be an important tool for employers and potential employees. Based on those trends, how can the Bangor region prepare to be successful in the future? Support your existing businesses. Private company investment into the region will be the best stimulus you can imagine. At Maine & Company, we use the testimonials of successful businesses to serve as an example to potential new businesses. 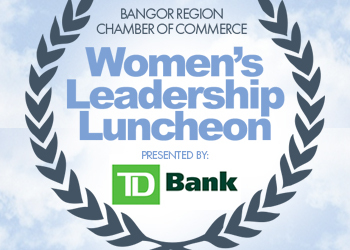 This has been especially strong in the Bangor region as business and civic leaders frequently help us share the story. Be professional. Be ready. Peter serves as President and CEO of Maine & Company, a privately funded business attraction and economic development organization. Charged with helping companies establish successful and profitable operations in Maine, Maine & Company’s Board of Directors consists of top executives from Maine’s business community. During Peter’s tenure, Maine & Company has attracted numerous companies to Maine that now employ thousands of people across the state. Through Peter’s leadership, Maine & Company has attracted companies from various sectors, growth stages, and sizes to locations throughout the state of Maine. Portfolio companies include: athenahealth, Sun Life Financial, Carbonite, Grand Rounds, and Wayfair. Peter is a graduate of Colby College and he earned his MBA from the University of Southern Maine. Peter and his wife and son reside in North Yarmouth, Maine.